While the independent or craft segment may still be relatively small beer (0.8% in Ireland, 6.3% in the US), macro-breweries are increasingly looking to shore up their market share through the introduction of new products. It is the rate of growth in the “craft” sector that has raised their eyebrows. 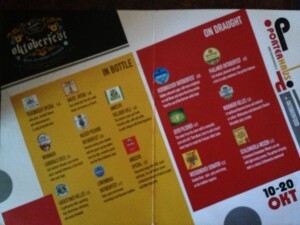 We’re seeing new lines of beers being introduced alongside their core brands. We just have to look to the introduction of Smithwicks Pale Ale and Calendonian Smooth into the Irish market within the past twelve months. There may be a lot of merit in the “consumer is favouring choice” argument as there seems to be a move away from manufacturing innovation to product innovation. Take for instance the range of Guinness products targeted primarily at the US market – Black Lager, Generous Ale and Red Harvest Stout. Perhaps in the Irish case it is also a response to the threat of Molson Coors ramping up their standing in the Irish market. 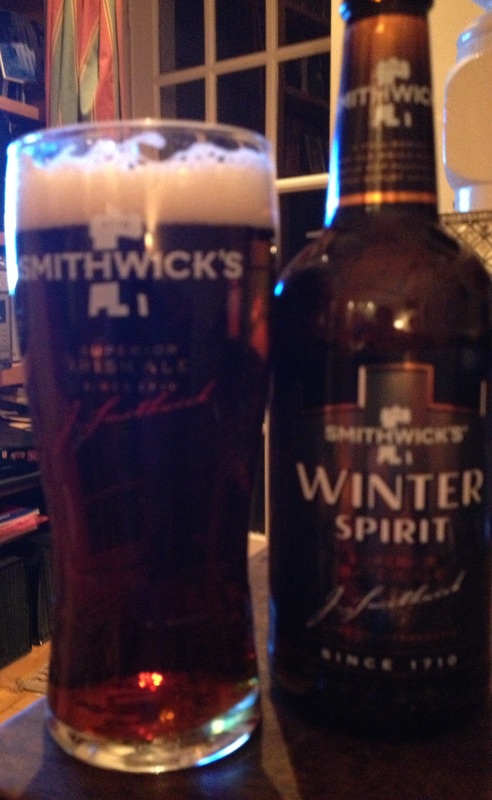 Smithwicks recently launched a new offering in the form of Winter Spirit, a 4.5% abv ale. It has a rich, ruby body that is still in keeping with the traditional Smithwicks red. It has a slight blackcurrant aroma, which is even more reminiscent of a bag of wine gums or jelly. The taste is initially sweet on but becomes toastier as you progress. It is fairly dry. It almost lacks something in the body and has not the complexity nor weight you’d expect in a winter seasonal. It is slightly cloying and sweet fruits definitely dominate. On the bottle, they say biscuit flavours so I suppose the closest would be Jam Dodgers. Of course with any good Irish red, there are hints of dry roasted peanuts and toffee nut towards the end. 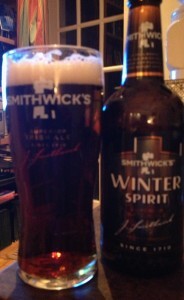 While it’s not a winter ale, it is nevertheless an interesting variation on the standard Smithwicks and not simply a slightly more alcoholic version. 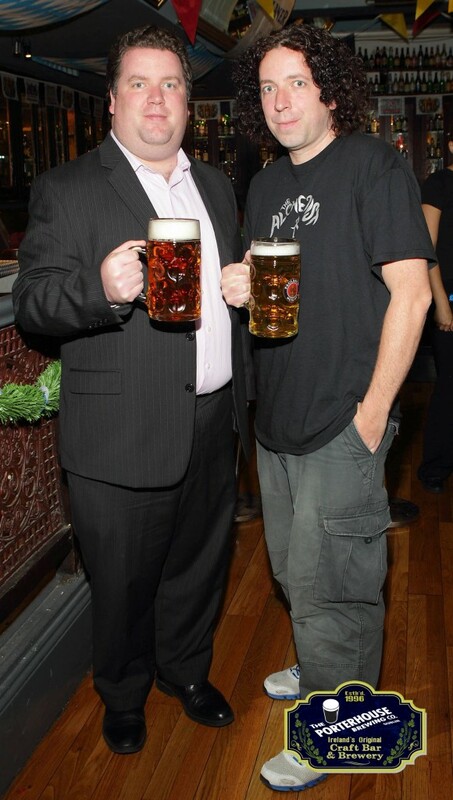 It’s great how traditions have built up over the years and Oktoberfest is one of them. Bars and breweries the world over clamour to carry out their own commemorations of the annual 16-day celebration of beer (could go on for a 17th day due to a technicality) that takes place in München. However, most are caught out by one thing, the majority of the actual Oktoberfest celebrations take place in late September. Apart from the occasional bar or two (where one was greeted by the sight of Alan & co in the Brewdock decked out in lederhousen) and the IFSC pop-up Erdinger extravaganza, it seems most bars wait until October to break out the Bauhaus. I had the opportunity to attend the launch of the Porterhouse’s Oktoberfest earlier this month and in keeping with the Irish approach to “die Wies’n” I waited until now to blog about it. Not all the beers offered during the festival would be considered beers allowed to be served in Munich (6% beers brewed within the city limits by Paulaner, Hacker-Pschorr, Augustiner, Spaten, Hofbräu or Löwenbräu). While the only “official” beer was Paulaner’s Oktoberfest Bier, the two weeks in the Porterhouse was more a festival of German brewing generally. The always excellent bitterly and austere Jever Pilsener (shows that not all austerity emanating from Germany is bad) was available on draught, as was Weissenoher Bonator, Wieninger Helles and Schlenkerla Weizen. In bottles, there was Augustiner Helles, Tegernseer Spezial, Wieninger Guidobald Gold in bottles. I had the opportunity to do tastings of most of these beers in Probus over the course of the year thankfully because precious few were in the country over the past few weeks. For the festival, the Porterhouse brought back its seasonal brew Hersburcker Oktoberfest. While it is based on the standard Hersbrucker Pils, it doesn’t have the same level of bitterness and the same level of floral aroma. Instead, it has become a malt-forward beer dominated by its malt bill of Vienna, Caramalt and Munich. It’s malt on the nose and in the taste. The body is golden/amber thanks to the addition of Vienna malt and perhaps is closer to the true Oktoberfestbier/Märzen style. 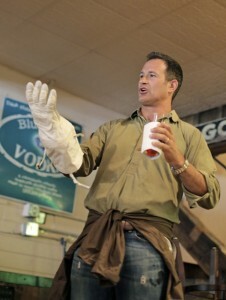 The beer was matured in the brewery for 6 weeks prior to release. The sweet caramel flavour belies its 6% abv. For me the taste is reminiscent of a waffle cone. It has a dry, sugary flavour with the vaguest hint of gingerbread. It is strongly reminiscent of beers from Hall & Woodhouse’s Badger range such as Tangle Foot and Fursty Ferret. 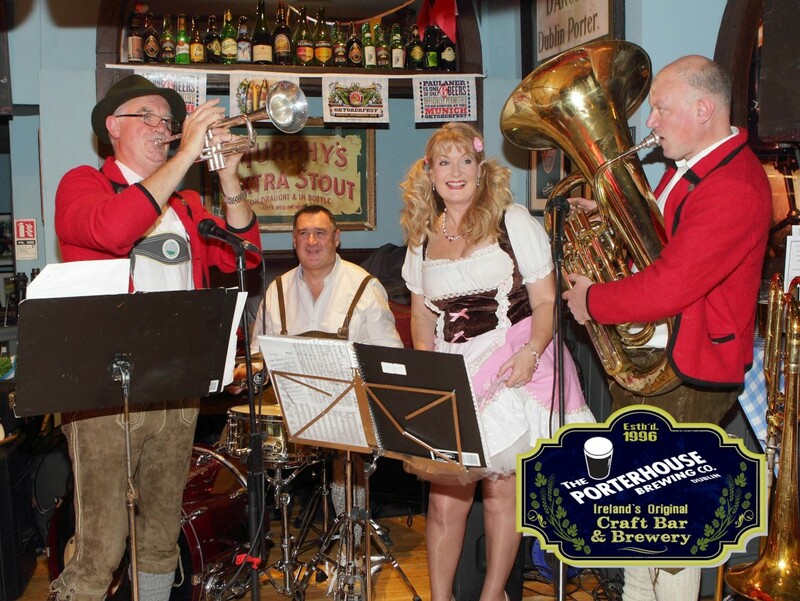 Of course no respectable Oktoberfest would be complete without out an Oompah band. There’s something fantastic about brass bands attempting to belt out popular tunes – the kitscher the better. And every so soften for them to belt out Ein Prosit followed by “Schenkt ein, trinkt aus, schenkt ein, trinkt aus”, which gets steadily more raucous as the night wears on. There’s a great one on youtube of a band playing Dolly Parton’s 9 to 5. An Oompah band is really the ultimate party band (if the Saw Doctors are unavailable) so forget the DJ and the karaoke. Michigan is one of those States that does not necessarily have strong connections with Ireland. It’s heavily influenced by Germanic immigration. Known because of the American auto-industry, Motown and Detroit is the home town of 8-miler Eminem and its most famous son, Beverly Hills Cop Axel Foley. However, beers from Founders Brewing Co. from Grand Rapids have made it over this side of the Atlantic and they can create a new affinity with the Great Lakes State. In the brewery’s own words it has “been lucky to evolve into one of the highest recognized breweries in the United States” and has been “ranked in the top four breweries in the world by Ratebeer.com for the past four years in a row (4th in 2010, 2nd in 2011 and 2012, 3rd in 2013)”. I have had the opportunity to spend some time visiting my wife’s family in Michigan and it quickly became apparent that this is a State that is serious about its beer. I suppose it would have to be the case because it’s bloody freezing there (I would like to point out that I didn’t visit in the summer and it was snowing when I was there at the beginning of October). Big, bold and hoppy flavours abound (Shorts Brewing Co. up in Bellaire, Michigan is a great example – it also has ballroom dancing if you’re that way inclined). Michiganders are a hardy bunch all the more so because of the hardships the State has endured over the slow decline of heavy industry and naturally, they needed the beers to match. Five beers from Founders’ core range have made it to Ireland and they give a great insight to Michigan beer. 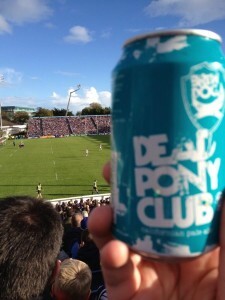 Unfortunately, due to a beer tasting that I was hosting I was unable to attend the event in Dublin on 10 October where Drogheda-native Niall Little who from the Founders’ sales team (coincidentally he worked with one of my wife’s cousins in a previous distribution company) introduced the beers to a Dublin audience. Apparently they’re obsessed with drinking beers as fresh as possible over in Founders and you can read an excellent piece by @Beermack_ on the event. 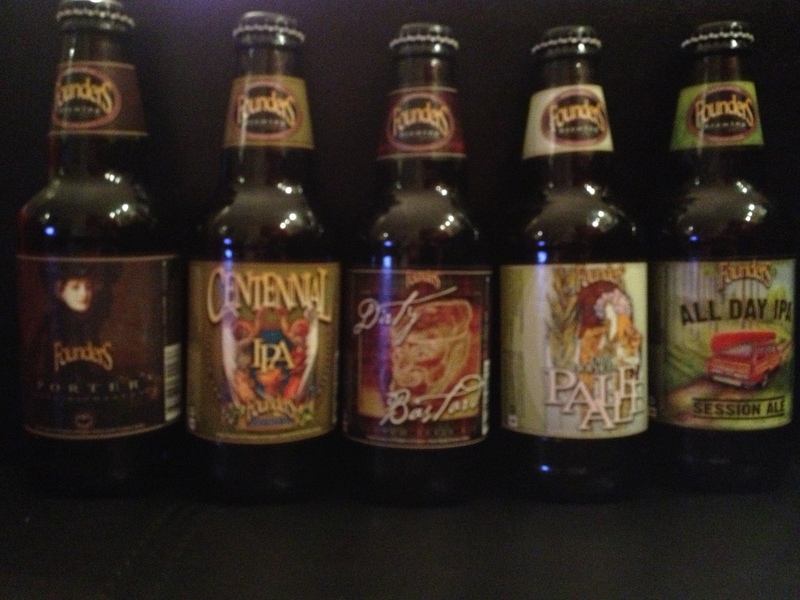 So having all five beers at home, I naturally decided to have a little tasting by myself. I also got into the spirit by watching some of the chat between my Michigander relatives about the college football games (they seem to be equally split between Michigan State and the Wolverines). Interestingly, Michigan got beaten in overtime by Penn State, who will be playing in Croke Park next August. Plenty of pine and orangey citrus aroma with a tangerine-sweet flavour. Certainly not full bodied and as it says on the tin (or label in this case), it can be enjoyed all day long. Labelling hints at outdoors and the pine aroma recreates this in a glass. Perfectly sessionable with a bitter kick to boot. 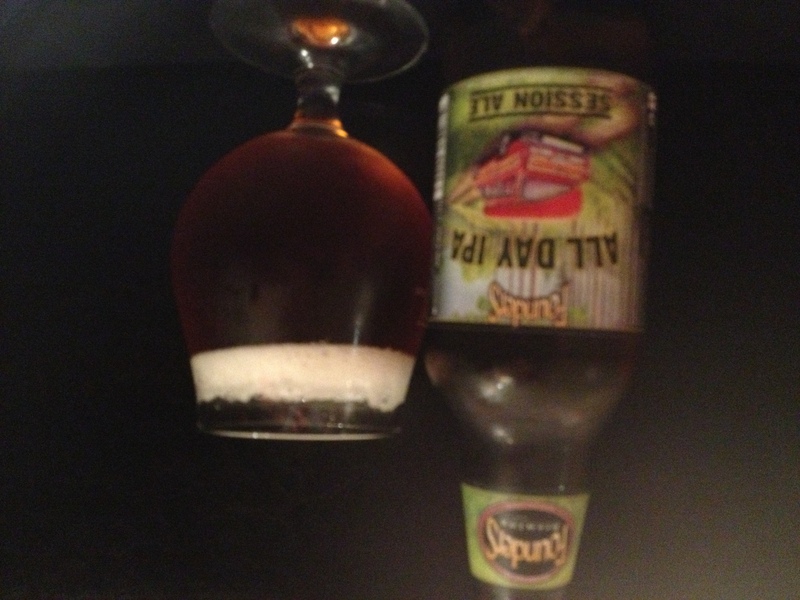 What’s great is that this beer adds the the growing number of fantastic sub-5% abv hoppy beers on sale in Ireland (e.g. Brewdog’s Dead Pony Club and Continuum by Hardknott). The ale with plenty of Cascade hops. Expecting the usual citrusy grapefruit traits but certainly not the sweet like aroma this beer displayed. Do you remember Trebor Fruit Salad? If you do, that’s the type of pinapple perfume you get on this beer. The beer’s freshness gave the aroma a strong reminiscence of recently harvested red fruits particularly strawberry and cranberry. Extremely dry tasting, the fruit flavours try to break through at first but they quickly surrender. Can be summed up as sweet peach and pineapple in a glass. 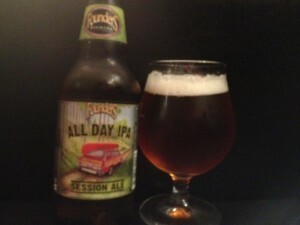 Founders may upset hopheads because they like to focus on balance and they back up their beers with a sweet malt body. The initially a sweet taste makes a swift but smooth transition to a dry, bitter body. Pleasantly bitter for a straight-up IPA. American brewers brew some remarkable porters and serious breweries all have at least one excellent porter in their repertoire. 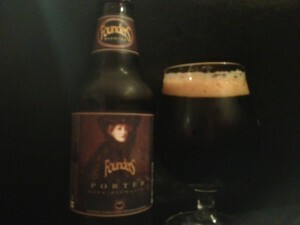 Founders is no different and theirs is extremely rich with a sweet velvet full-body. 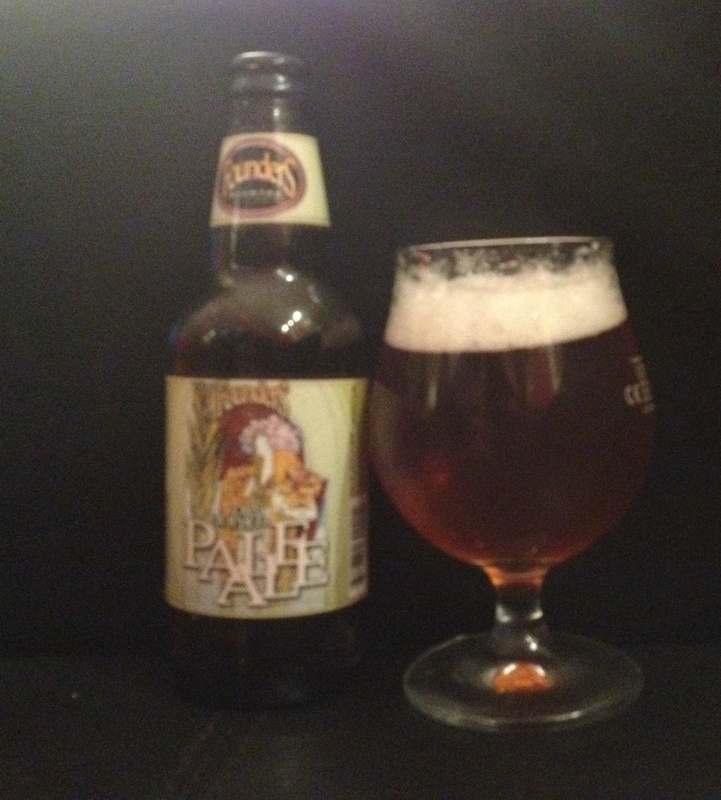 It has the hallmarks of a good Belgian Dubbel but not as sweet as a barley wine. Vinous notes on the nose. Everything signals chocolate from its tan head to its black oil appearance to its flavour of course. There’s s smoky aftertaste and sharp dark chocolate bitterness – a combination from the black malts and the copious amount of hops added. I’m not a whiskey drinker but this beer has those familiar vanilla notes that you would find in Jameson. I do however like Scotch Ales but recognise that they are an acquired taste. This is very much in the category of sipping beers, much like McChouffe. Sweet notes coming through upon tasting but the vanilla flavours remain throughout. The ale is chewy in keeping with its toffee-like flavours but thankfully it is not overly sweet. There’s a tiny lacing for a head and a ruby reddish/ruddy brown appearance. Apparently this is their flagship beer. Brewers are constantly pushing the boundaries in coming up with new ideas for their beers. We’ve seen every type of wooden barrel chocolate, tobacco, coffee (civet coffee for example) used. Given that it’s October pumpkin beer is commonly expected. A decade or so ago I tried a beer containing actual shamrock from Strangord Lough Brewing Company. This took inspiration from old-school brewing that can be best tasted in the form of Fraoch heather ale from Williams Brothers. But what I’m talking about here is the addition of unique ingredients that seriously try to push credibility factor. The production of sours is “wild”-spread (pardon the pun, I couldn’t resist). They may not be called Lambics for legal reasons but they are produced nonetheless by similar methods. 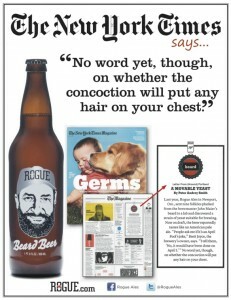 But what about one produced by yeast cultivated for a brewer’s very own beard. That’s what Rogue Ales did. 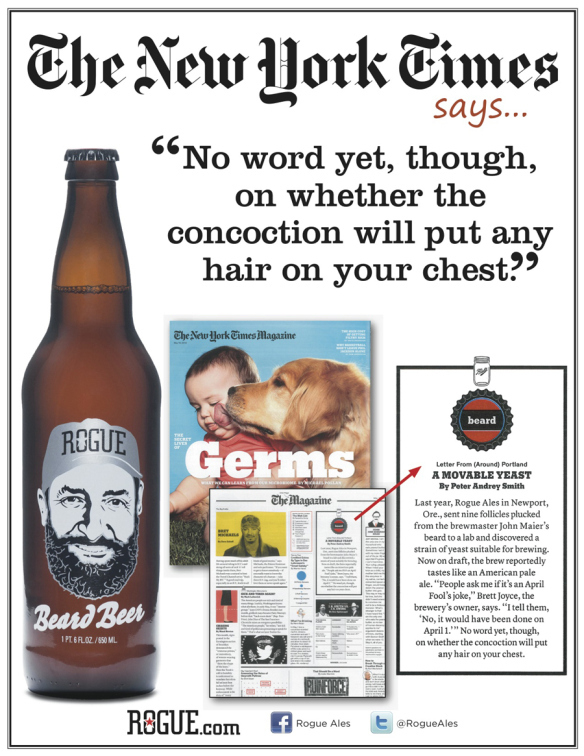 Taking natural yeast from John Maier’s beard (it had been present for over 15,000 brews), they produced Beard Beer. Is pushing the boundary with such brews a sign of just how competitive it is out there amongst craft breweries? Or is it means of generating free media attention? I’m not necessarily accusing people of being gimmicky. Brewdog’s Never Mind the Anabolics anyone? Produced to coincide with London 2012, the beer that could genuinely get an athlete kicked out of the Olympics. 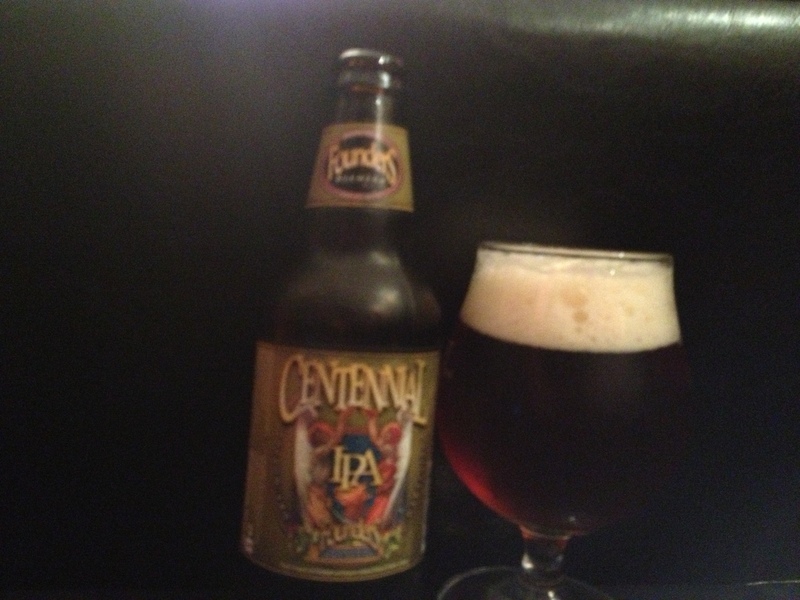 However, the latest has to be Dogfish Head’s Celest-jewel ale. The Oktoberfest-style beer was brewed lunar meteorites that have been crushed into dust (in addition to the German malts and hops of course). According to the brewery, the resulting product is 5% ABV with 25 IBUs has “notes of doughy malt, toasted bread, subtle caramel and a light herbal bitterness” and in particular the lunar particles contribute a” subtle but complex earthiness. (Or is it mooniness)”. 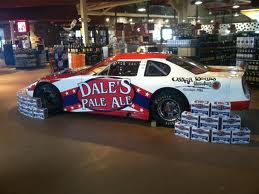 Unfortunately, it’s a beer that will be confined to annals due to its rarity, some of the raw materials cannot be cheap. 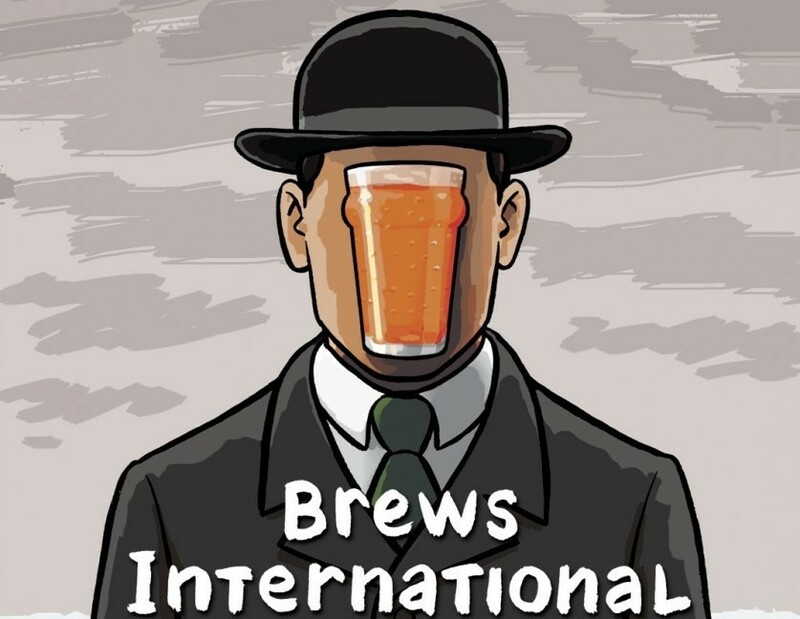 Nevertheless, these beers show that creativity is alive and well and that brewers are constantly on the look out for breakthroughs in addition to making incremental innovations in existing styles. Some of them might not be favourites or even drinkable but one thing for sure is that they certainly raise the interest level in beer. I can’t wait to see what’s next.